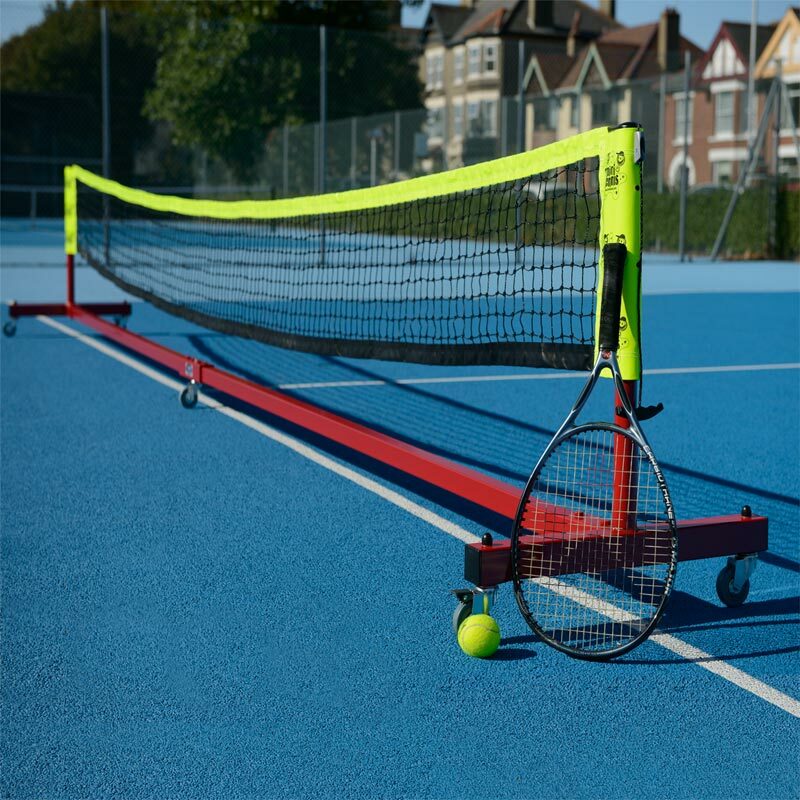 The Harrod Sport ® Wheelaway Steel Mini Tennis Posts have been designed so that they can be easily wheeled between courts or off the court altogether when not in use. 2 x Tennis Posts (Uprights). 1 x Centre Joint Sleeve. 2 x Swivel Castors with brakes. Manufactured from 50mm x 50mm steel. Easily adjustable upright mechanism for three height settings of 86cm, 73cm and 60cm. 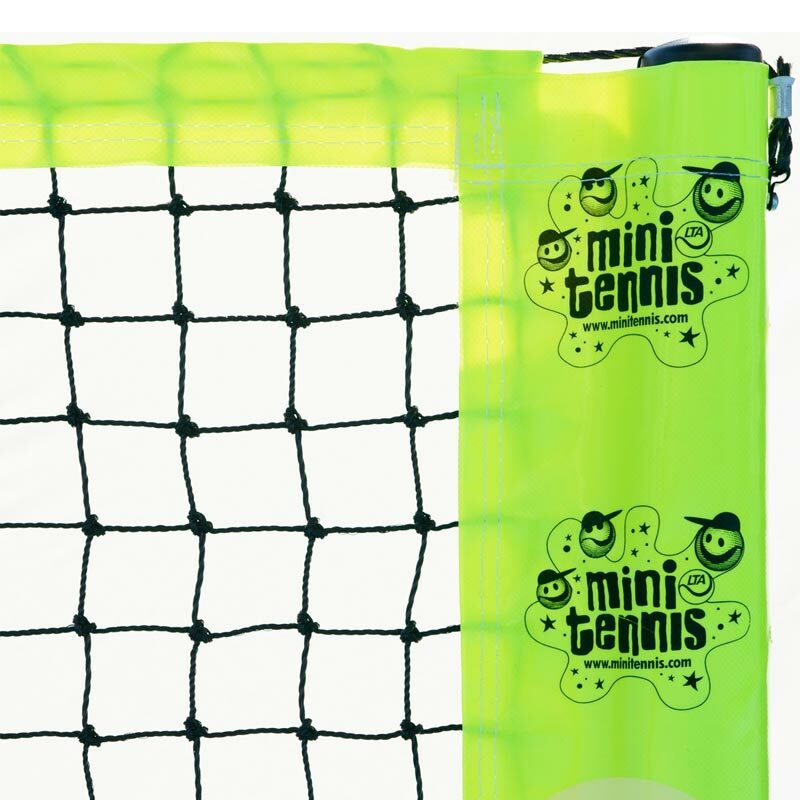 Complete with 6m long, 2.5mm thick net with fluorescent yellow brand and 12mm rope headline. Net sideband has printed mini tennis graphics. Fully portable complete with 5 swivel castors, 2 with brakes. Total weight per set 34kg. Net size 6m x 0.86m. Thickness 2.5mm. Colour - black with fluorescent yellow brand and 12mm rope headline. 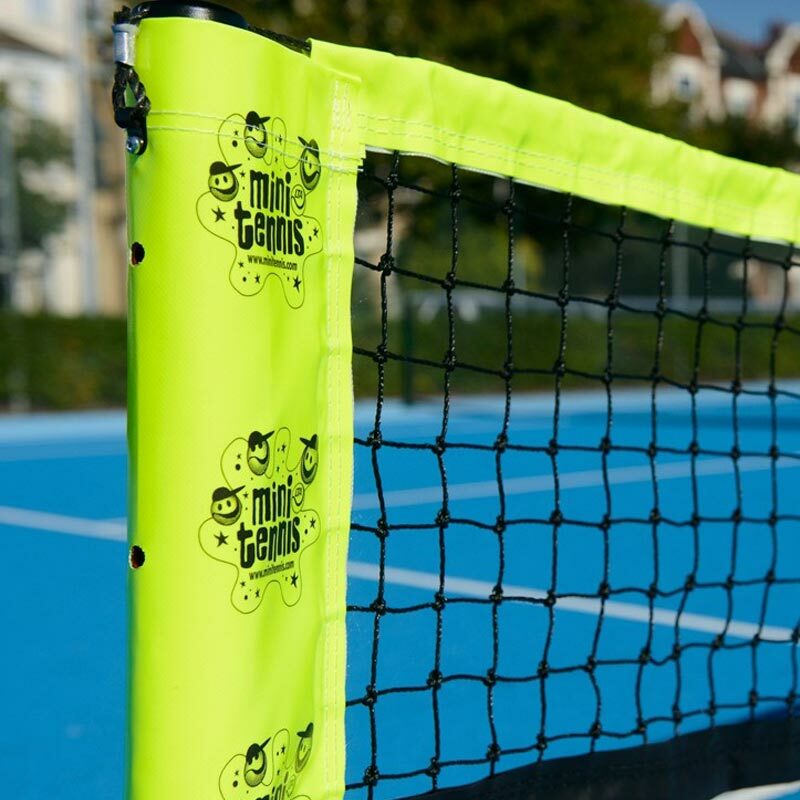 Lost the instructions for your Harrod Sport ® Wheelaway Steel Mini Tennis Posts? Please Click Here to download a new copy.